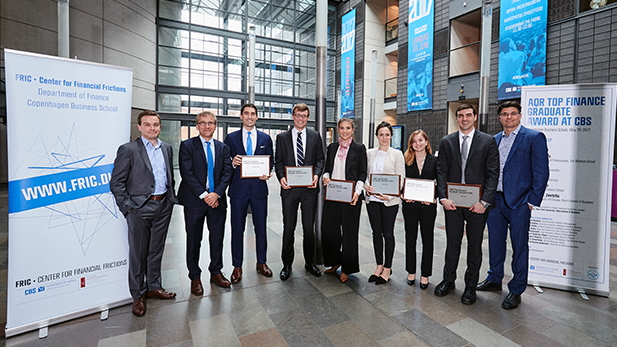 FRIC organizes an annual award event: The AQR Top Finance Graduate Award at CBS, which is given to the most promising finance PhD graduates of the year. You can find the previous winners of the award below. 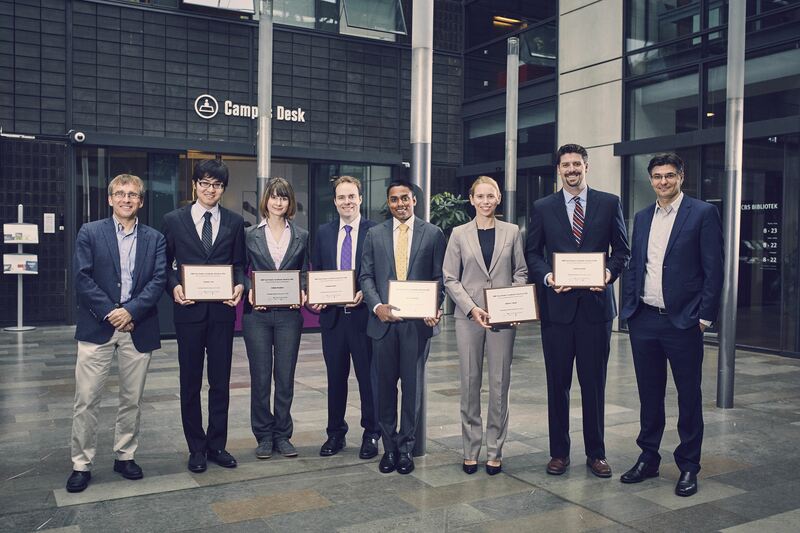 The AQR Top Finance Graduate Award is a yearly event hosted and organized by Center for Financial Frictions (FRIC) and the Department of Finance at Copenhagen Business School. 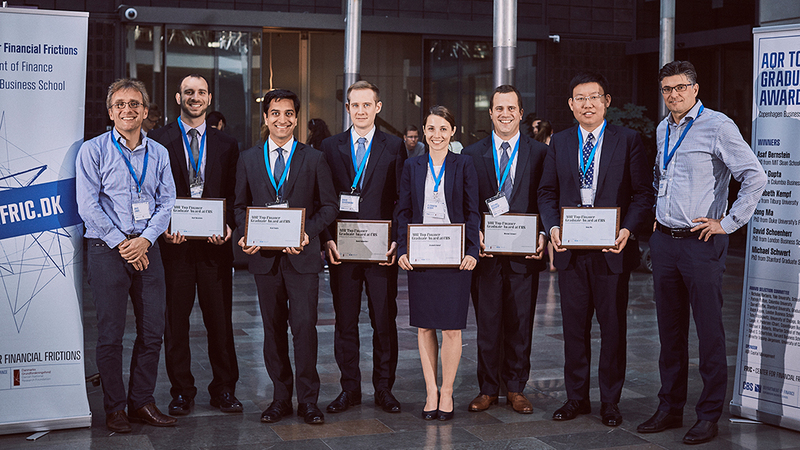 The award recognizes the most promising finance PhD graduates of the year. Specifically, the award recognizes the graduates specializing in financial economics pursuing degrees in any field of study, e.g. business or economics, whose dissertation and broader research potential carry the greatest promise of making an impact on the finance practice and academia. The event is sponsored by AQR Capital Management. The Award ceremony took place at CBS on June 8, 2018. Simona Abis, PhD from INSEAD: Man vs. Machine: Quantitative and Discretionary Equity Management. Now assistant professor at Columbia Business School. Jessica Jeffers, PhD from the University of Pennsylvania, The Wharton School: The Impact of Restricting Labor Mobility on Corporate Investment and Entrepreneurship. Now assistant professor at The University of Chicago (Booth). Moritz Lenel, PhD from Stanford University: Safe Assets, Collateralized Lending and Monetary Policy. Now research fellow at the Becker Friedman Institute at the University of Chicago, will join Princeton in 2018. Pascal Noel, PhD from Harvard University: The Effect of Debt on Default and Consumption: Evidence from Housing Policy in the Great Recession. Now assistant professor at The University of Chicago (Booth). Emily Williams, PhD from London Business School: Monetary Policy Transmission and the Funding Structure of Banks. Now assistant professor at Harvard Business School. Alexander K. Zentefis, PhD from University of Chicago, Booth School of Business: Bank Net Worth and Frustrated Monetary Policy. Now assistant professor at Yale School of Management. The 2017 awards were presented by Award Selection Committee member Ralph Koijen from New York University, Stern School of Business. The Award ceremony took place at CBS on May 29, 2017. Asaf Bernstein﻿, PhD from MIT Sloan School of Management: Household Debt Overhang and Labor Supply﻿. Now assistant professor at University of Colorado Boulder, Leeds School of Business. Arpit Gupta﻿, PhD from Columbia Business School: Foreclosure Contagion and the Neighborhood Spillover Effects of Mortgage Defaults﻿. Now assistant professor at New York University, Stern School of Business. Elisabeth Kempf﻿, PhD from Tilburg University: The Job Rating Game: The Effects of Revolving Doors on Analyst Incentives﻿﻿. Now assistant professor at The University of Chicago, Booth School of Business. Song Ma﻿, PhD from Duke University’s Fuqua School of Business: The Life Cycle of Corporate Venture Capital﻿. Now assistant professor at Yale School of Management. David Schoenherr﻿, PhD from London Business School: Political Connections and Allocative Distortions﻿. Now assistant professor at Princeton University. Michael Schwert﻿, PhD from Stanford Graduate School of Business: Bank Capital and Lending Relationships﻿﻿﻿. Now assistant professor at The Ohio State University, Fisher College of Business. The Award ceremony took place at CBS on May 30, 2016. The Award ceremony took place at CBS on June 11, 2015. The 2014 awards were presented by Award Selection Committee member John Campbell from Harvard University. 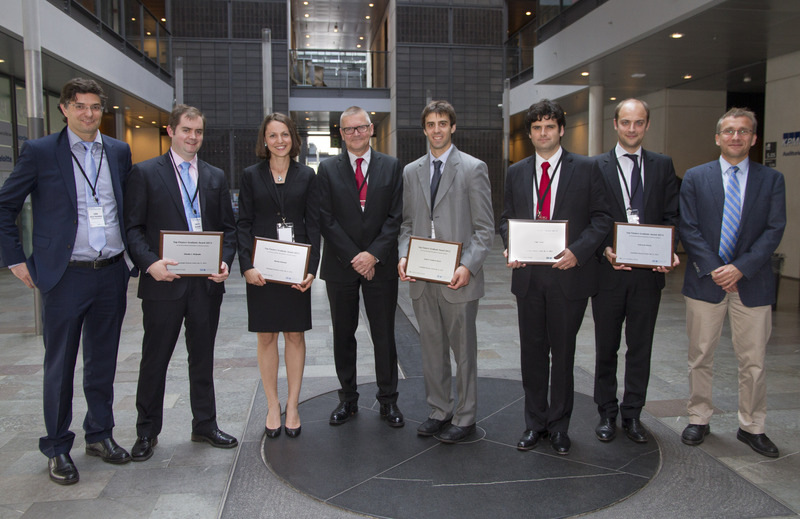 The 2013 awards were presented by Lars Rohde, Chairman of the Board of Governors of Danmarks Nationalbank.